GREAT SKY.FROM EAST TO WEST. Piece is based on a stories around Bajkal Lake, Russia. 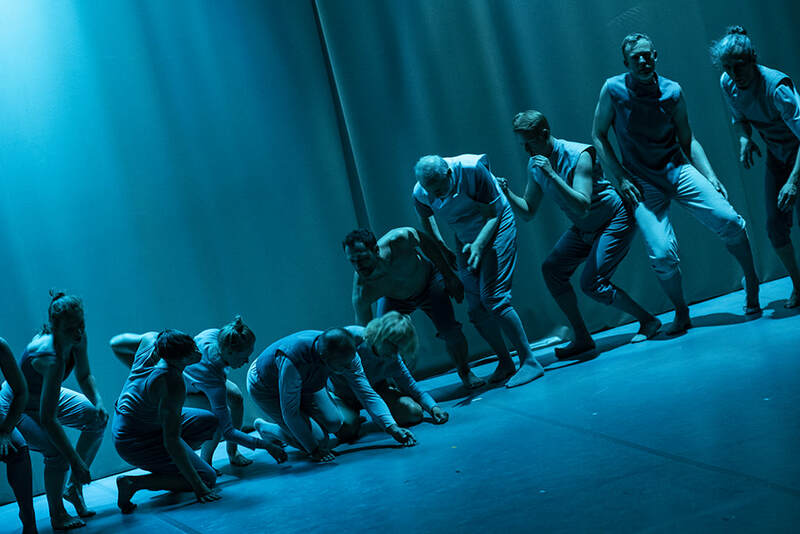 BIG SKY was a piece that open INTERNATIONAL THEATRE FESTIVAL KONTAKT in Torun, Poland in May 2018. Natalai prepered this piece with group of 23 drama actors from W.Horzyca Theater. Stabilization and the lack of stabilization. My life top a certain degree became a nomadic life. It is hard for me to stay in one place so at the same time it is difficult for me to settle. I am constantly looking for something: for home, for love, for work, for friends, for dance, for freedom. Life is a journey and you get to decide how you will travel. Yo can travel alone or with others, you can travel to find answers, to find home or to escape home. I am in constant search for my promised land. 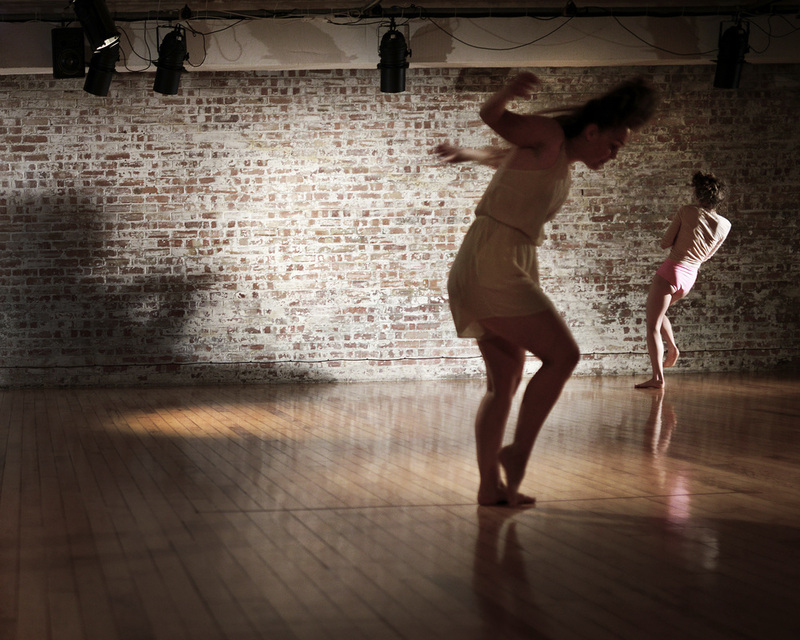 Premierre: 4th June, Chisenhale Dance Space,London,UK. 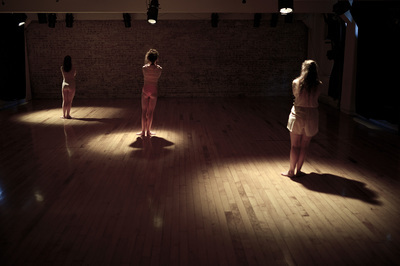 The London-based NaNa Collective is a budding collaboration of three diverse dance artists. With their freelance pathways continuously intertwining, Natalia Iwaniec, Tora Hed and Alice Laidler are merging their training methods, nationalities and personal stimuli to breathe life into new work. 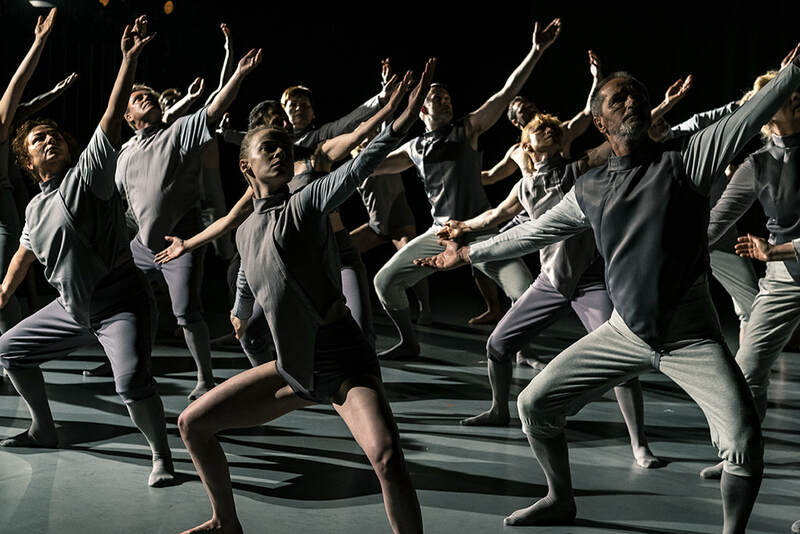 Passion for movement and the natural world – and how these shape us as human beings – is at the core of the performance. 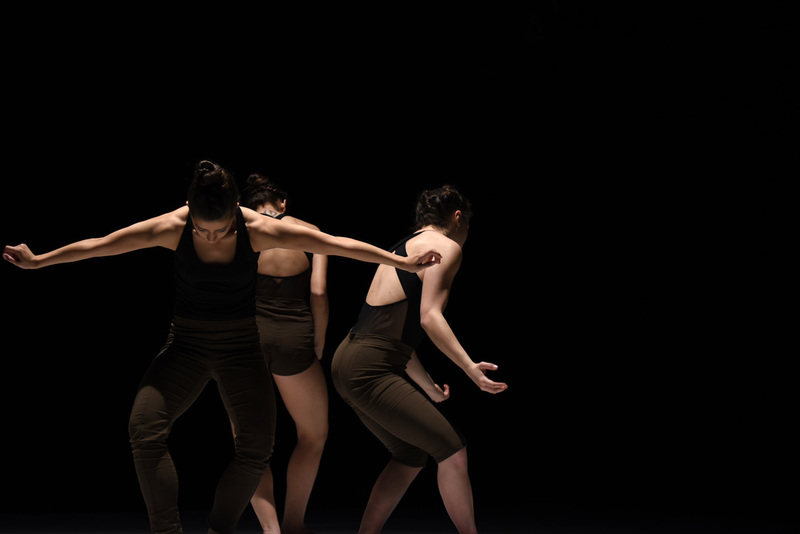 Dance: Valeria D'Amico, Martina Franchi, Magda Wojcik. Premierre: 19th March 2016, Catania, Sicily, Italy. Searching for a clear form, something that is perfect in a sense of beauty. Form as a art form, and natural form. Botanical images entering the body, and they change our imagination and creativity. Influence of ballet for contemporary dancers. 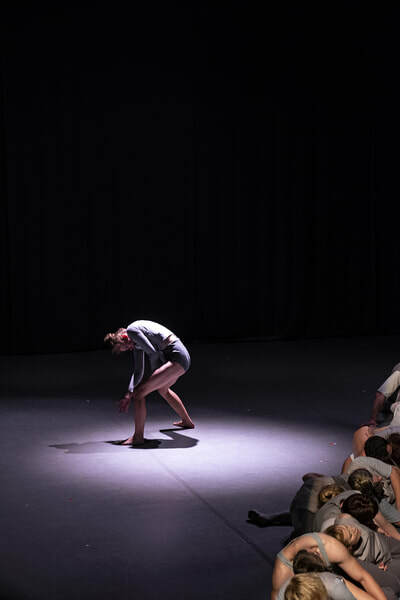 Work for students from STW(School of contemporary dance) in Poznan, Poland. 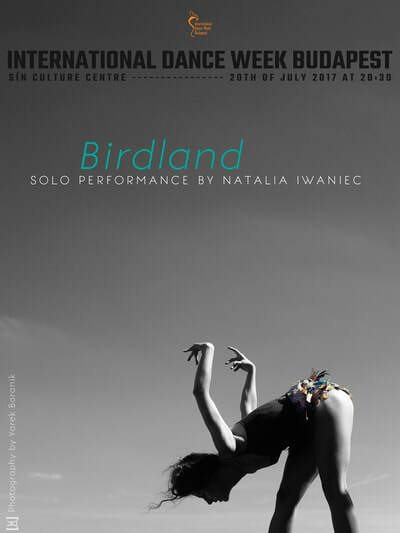 dance and choreography: Natalia Iwaniec & Valeria D'Amico. Project based on a research between movement and photography. Both dancers use polaroid camera to take pictures during the performance. All the piece is concentrated on movements that meet stilness,like in photography. Choreography use movements that can be easily pictured by camera and by an audience eye. 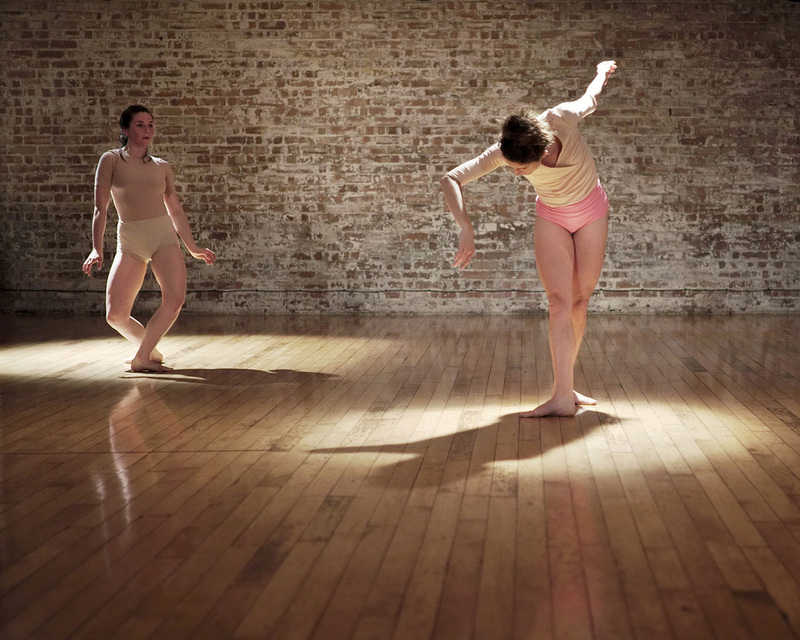 From simple gestures and natural movement as a starting point, dancers are visiting solos, canon, unison with complex and sophisticated choreography. Photography is leading the performer throught a journey that visits family portraits, paparazzi,zoo and catwalks, where models present their body in unconfortable and awkward positions till does not belong to model beauty world anymore. Inspired by statues, it explores unnatural and impossible stillness that meets physical and mental weakness. Instantaneo is working on the interaction of taking pictures and being pictured and the consequences of it. The creation indeed is a sequence of images that are representing relationships, meetings, memories, power, insecurity, obstentation. The work in progress had its first show on the 8th of December 2014 in Torino at atelier Giorgi and Spazio Mouv'. dance and choreography: Natalia Iwaniec & Valeria D'Amico.The performance waks created for International day for the Elimination of Violence against Women. Natalia and Valeria participated in this project. It was shown in the city Library in None(TO),Italy on 25th November 2014. The idea was to bring some images of women suffering from physical or psychological violence. The dancers used red lipstick as a symbol of power and femminity in society. Movement was based on sharp and efficient changes and simple word commands. 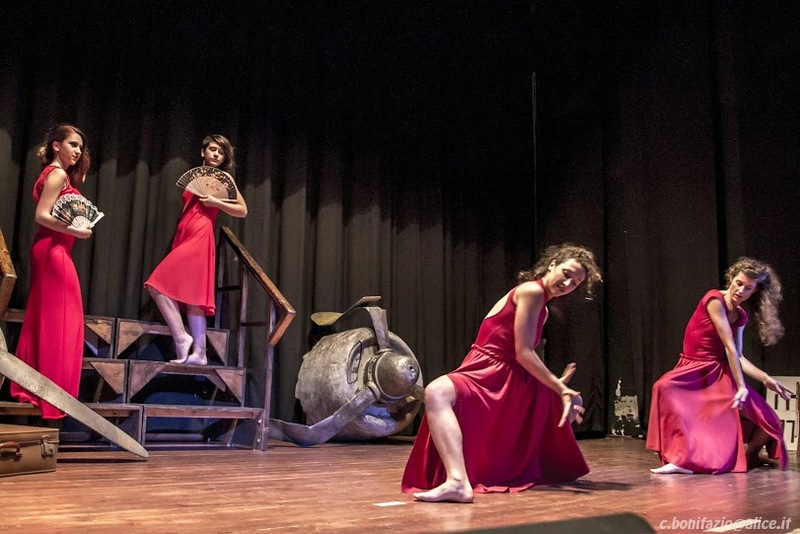 Natalia Iwaniec and Valeria D'Amico took part in theatrical event "La manche del capitano" by the popular drama company Quelli dell'isola as dancers. The acting piece was a representation of the gloriouos "Great Torino" football team, dead i tragic plane accident in May 1949, coming back from Lisboa. In the performance dancers has presented a duet on Fado music. 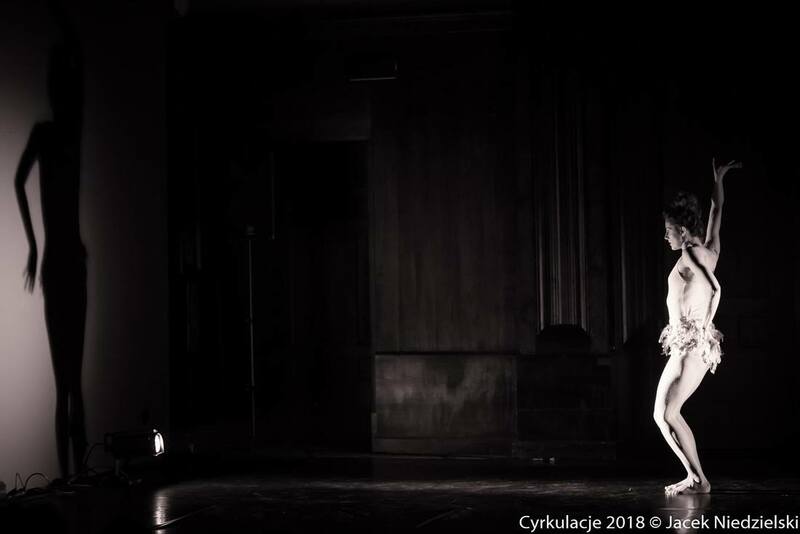 Perormance was a part of long project created by choreographer and dancer Iwona Olszowska in Barakah Theater in Cracov, Poland. 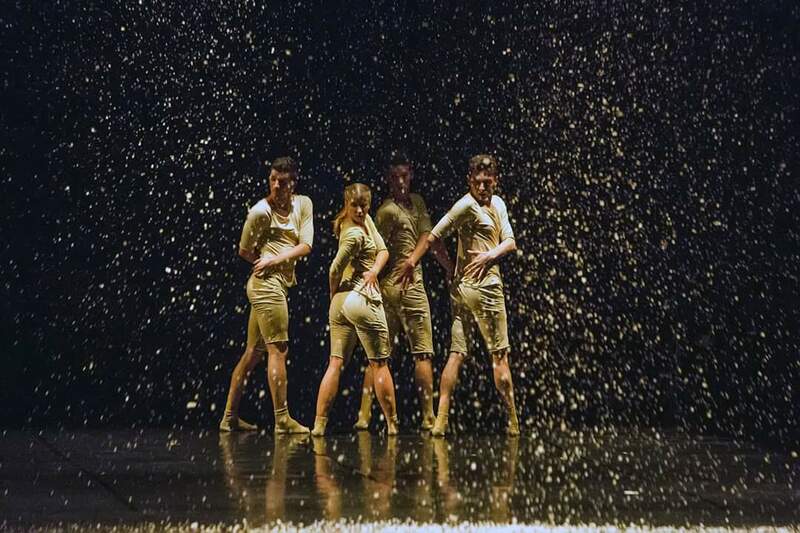 In the series of DANCE ZONE area BARAKAH in Krakow invites you to show performances showing a huge spectrum of contemporary dance - from choreography to the structural improvisation. Natalia Iwaniec and Iwona Olszowska built structure based on GAGA movement language. Będzie to improwizacja strukturalna inspirowana językiem ruchu GaGa, którego twórcą jest Ohad Naharin, dyrektor artystyczny i choreograf Batsheva Dance Company w Tel Awiwie (Izrael). Jest to metoda pracy z ciałem pomocna dla tancerzy, jak i dla wszystkich, którzy lubią się ruszać; świadoma praca zakładająca instynktowne poruszanie całą strukturą ciała. Dzięki tej metodzie ciało uzyskuje większą giętkość i elastyczność. GaGa wykorzystuje różne jakości, np. gęstość, shake, groove. Ważnym aspektem jest poczucie humoru i podejście z dużym dystansem do siebie i swojego ciała. 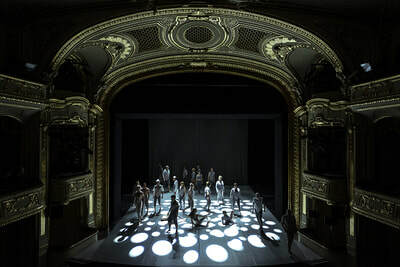 `Hello Love` is a short piece created for the platform 12MIN.20MAX in the Tanzhaus in Zürich. Original cast: Clea Onori (CH), Annemarie Kaufmann (CH), Sharon Dvir(ISR), Natalia Vik(NOR). 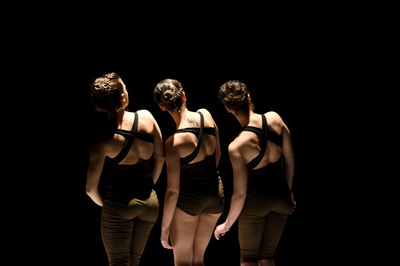 New cast that peform during InciDanse in Fribourg (CH) beginning of October 2013: Clea Onori (CH), Annemarie Kaufmann (CH), Leia Rose Weil(ISR), Natalia Iwaniec(PL). 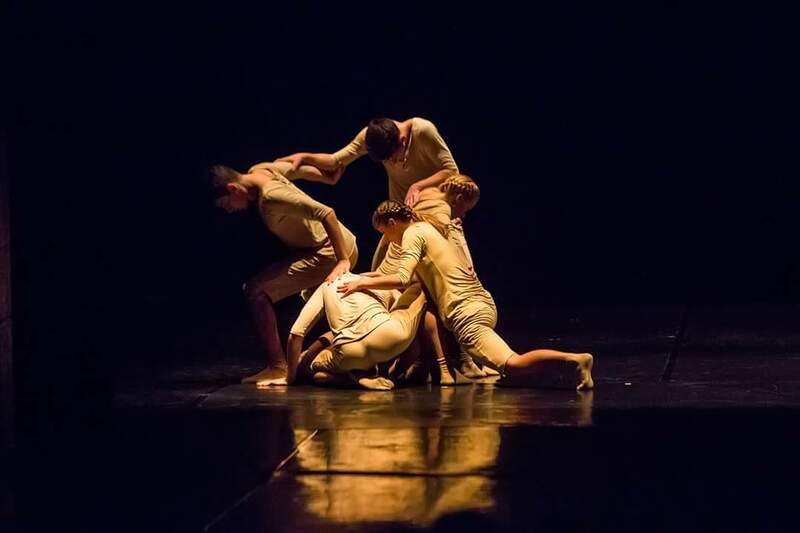 As all oft he 4 dancers met in the context of the Gaga Teachers Programm in Tel Aviv the piece is very much inspired by qualities of the movement language Gaga. 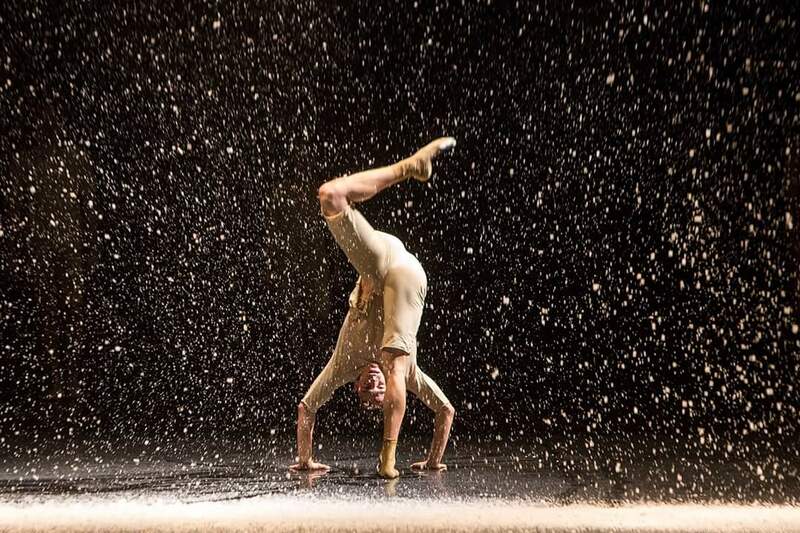 In January 2013 she performed in dance festival Resolution!2013 in theplace in London in piece choreographed by Elena Jacinta "Pieces of Mosaic".The choreography is a reflection on the idea of performance – the expectations that the performance sets, physical and emotional experiences related to it. The piece is constructed in a form of ‘mosaic’, where short solos and duets create a multilayered pattern, a non-linear narrative that emerges from a juxtaposition of various elements. 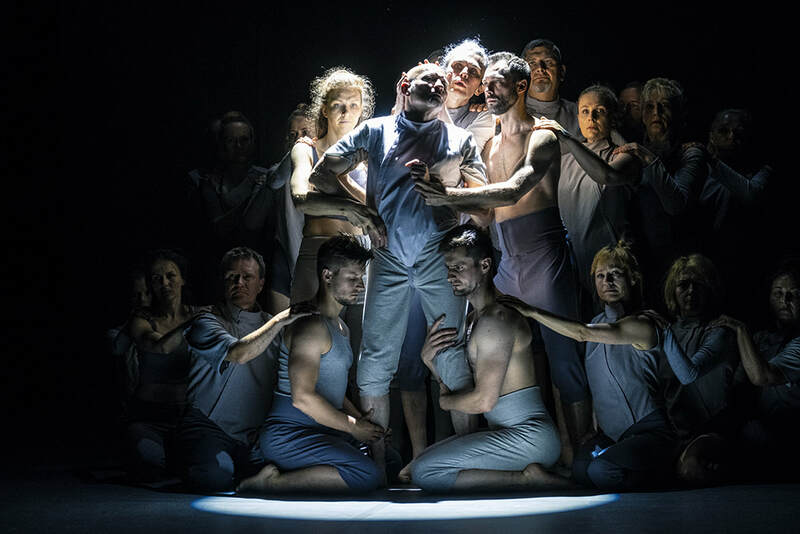 It’s a mosaic made of abstract movement, text and music that are weaved together to create a labyrinth of meanings and interpretations – a subjective picture of a performer’s world. Dancers and creative collaborators: Natalia Iwaniec, Tomomi Kosano and Carys Staton. Premiered on 22 January 2013 at The Place, London as part of Resolution! 2013. 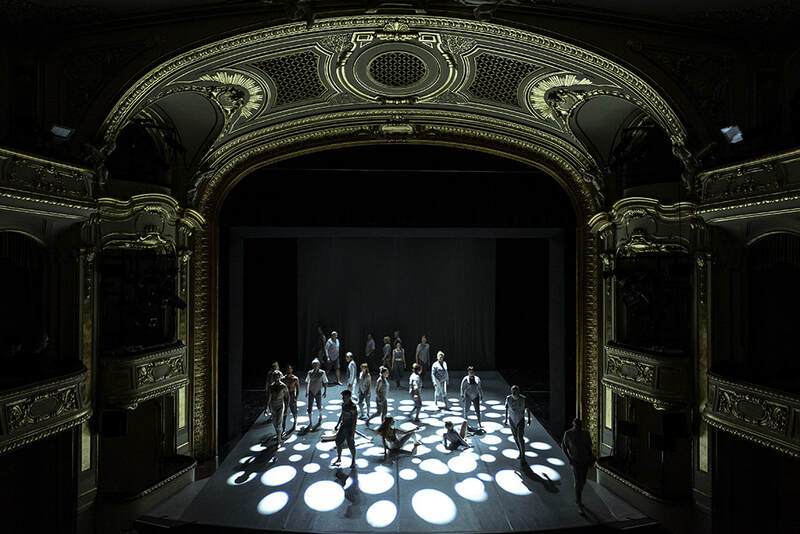 "...the choreography of Pieces of Mosaic riveted and surprised from beginning to end. 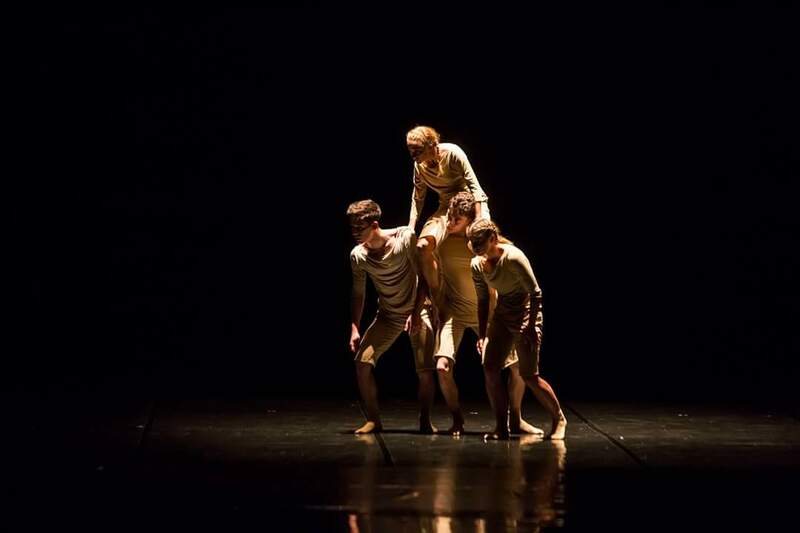 Three unbelievably sinuous dancers, oozing with technical ability and confidence, present a mish-mash of movement fragments. Snippets of ideas inform the splintered contents which the women present in various amalgamations. Virtuosic technique in one section is contrasted with a comical gestural motive in the next. It begins to look like a game of charades. Can you guess what this action signifies or what happens next, the performers quizzically seem to ask. No, I can’t and that’s what makes this piece a bemusing winner." In February 2013 she collabored with Golden Bohemian Dance Theatre in London.Golden Bohemian is a collective effort from several artists aiming to bridge a gap between dance, music and theatre by creating an interactive experience that will bring the audience from the roaring spirit of the 1920s into today's underground culture. The event will take place at 4th Floor Studios, a warehouse space located at the heart of East London. We will bring together dancers from Rhiannon Faith:dancingtheatre and live bands, performing simultaneously in a night of truly bohemian debauchery. Golden Bohemian will also feature the work of independent artists, fashion rails and vintage stalls. Premiere: June 2010 in Ekostudio Theater, Opole, Poland. Piece inspired by childrens games and rhymes of short words phares. Dancers use very rhytmic and presize movement with playfullnes and sense of humor. Dancers collabore with visual artist Kamil Augustowski.